And before I proceed to review, I just wanted to put this out straight that don’t expect any product to make you fair. 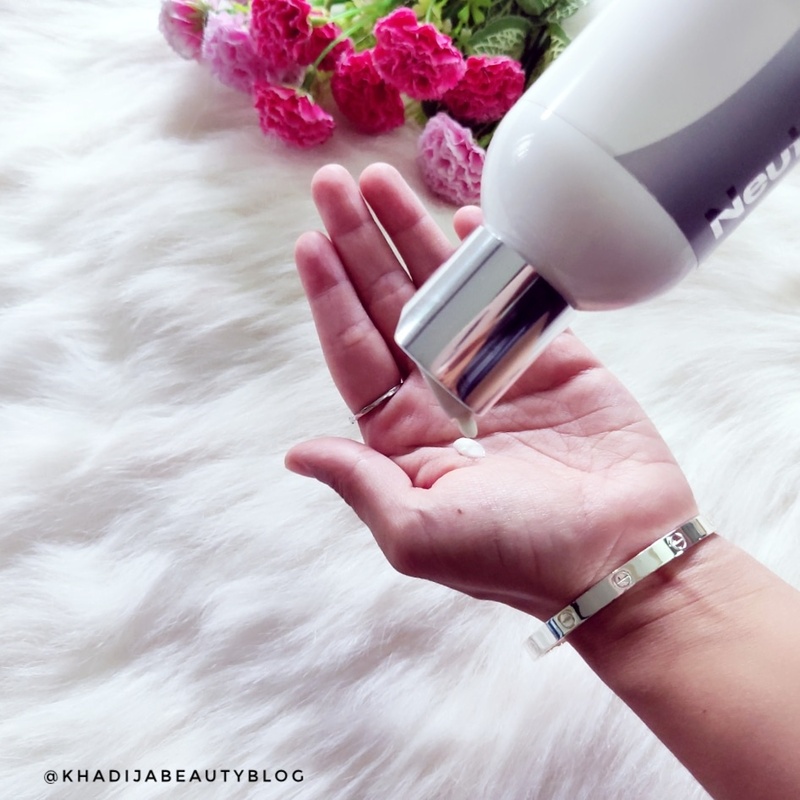 It’s all in the genes and by brightening, it means helping you improve your existing skin tone by removing the dead cell and getting rid of dull skin. If you are brown, no product can make your skin tone 4-5 shades lighter and make you look fair. Just imagine if that was the case then what would happen if people with fair skin use such products? So what I am trying to say is if any genuine product says “it gives you a brighter skin” it means that they will enhance your existing skin tone by removing dullness. 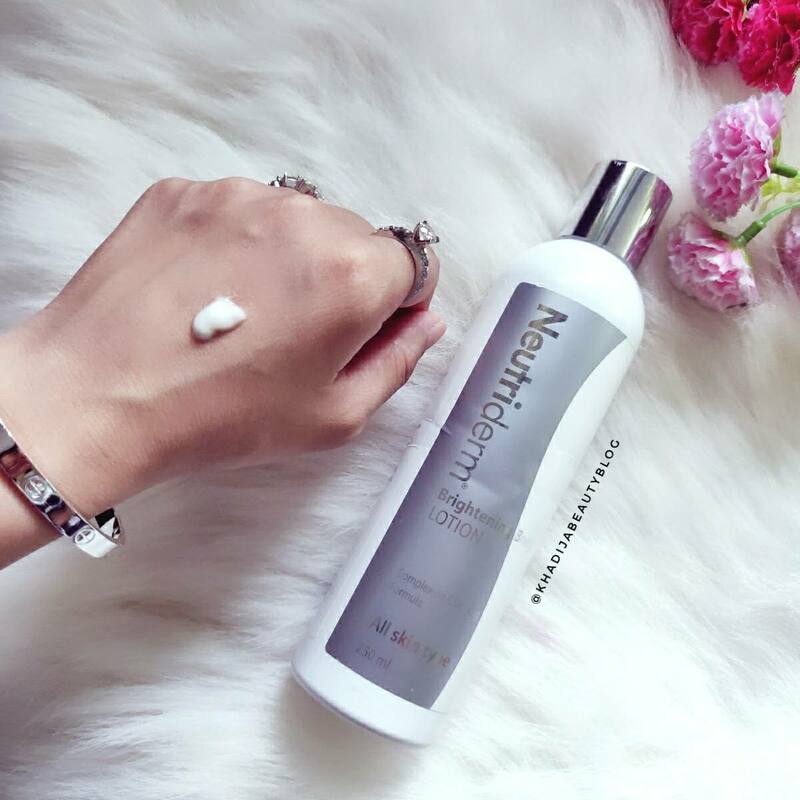 Developed after consulting with dermatologists, Neutriderm Brightening range offers a specialty designed formula to address skin tone issues and is suitable for individuals that have very sensitive skin that cannot tolerate stronger dosed products. This lotion is white in color. It is like a thick cream and the smell is mild and very familiar. I have an oily skin and even though the cream is semi-thick it doesn’t make my face sticky. It gets absorbed easily as I massage into the skin. Since the consistency is thick, it doesn’t come out very easily from the bottle. I have been using only at night after cleansing my face. It’s recommended to use twice a day for best results. It hydrates my skin really well without giving a heavy feel to the skin. And this will suit all skin types. 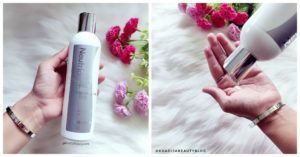 It didn’t cause any breakouts and worked as a moisturizer with amazing skin beneficial ingredients in my case. 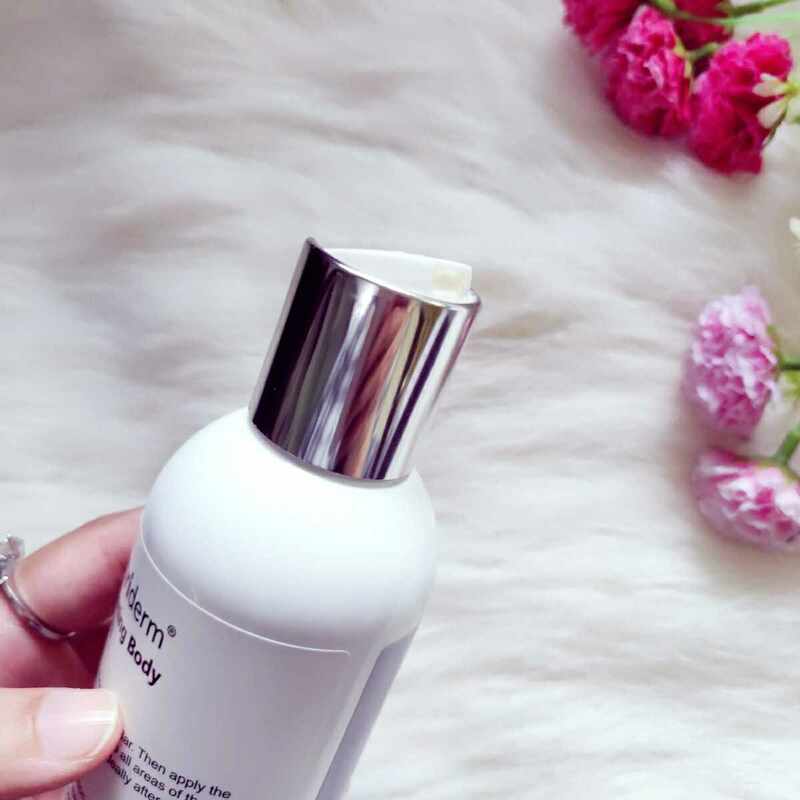 I didn’t find any brightening effects as the lotion is mainly targeted for people with pigmentations and who cannot tolerate stronger dosed products. It contains retinol, glycerin, niacinamide, Macadamia Ternifolia seed oil and many other skin loving ingredients. Some people are sensitive to these ingredients so this product is formulated in such a way that it can work for sensitive skin too. However, I would still recommend you to do a patch test before trying. Glycerin helps in deeply hydrating and adding glow to the skin. Retinol is widely known for unclogging the pores, preventing breakouts, helps in reducing acne scars and pigmentations, generates new skin cells. Macadamia Ternifolia seed oil is used for providing hydration to the skin and along with that it also helps in healing the skin. 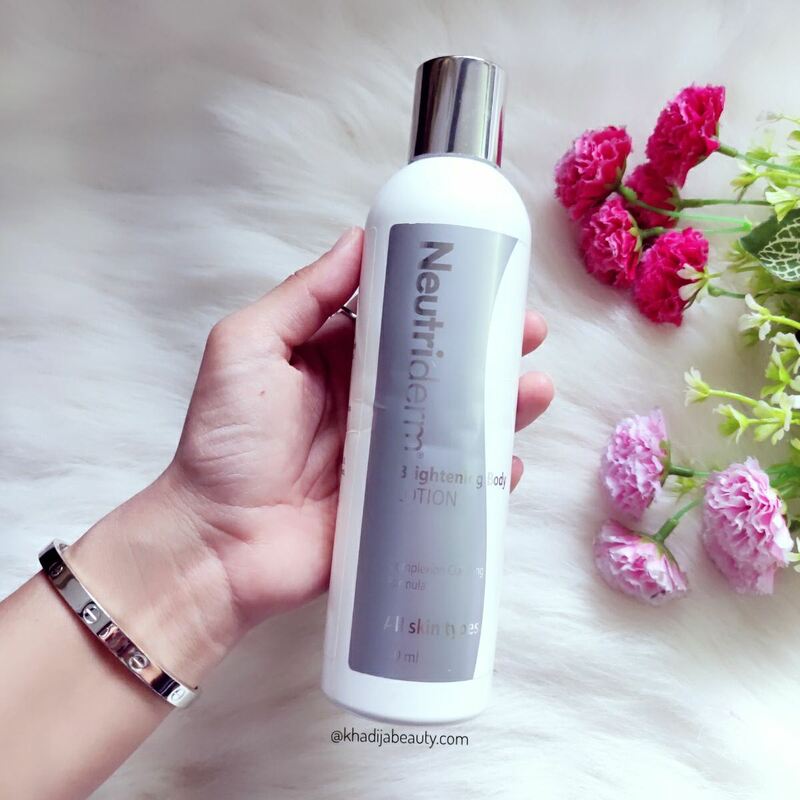 This Neutriderm brightening lotion makes my skin baby soft and I didn’t face any breakouts while using it. I think these ingredients prevented them. And if you are using it during the day I would suggest you to wear sunscreen. If you have an oily skin after 2-3 hours, the skin becomes oily again, however, this would act as a really good moisturizer for dry skin. It claims mainly reduce pigmentation and brighten up such skin but as I don’t have any such issues I can’t comment on that. But it did hydrate my skin. 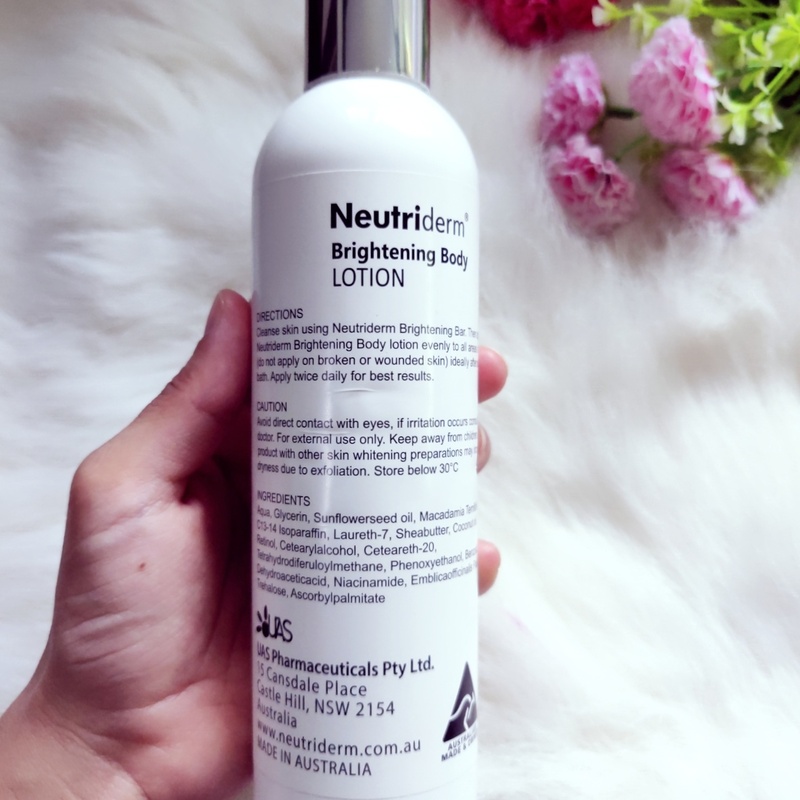 If you have a sensitive skin and you are trying different products for your pigmentations then try this and see because their ingredients are promising plus they are of premium quality pharma grade. But if you don’t have any such issues and have a skin similar to mine then you can skip this. Because for me it only provided hydration and worked as a deeply nourishing and healing night cream. Seems like a promising lotion for skin brightening. But I feel its too expensive..